It can be jarring for schools to consider hiring on-site security guards. Even with the responsibility incumbent upon administrators to do everything possible to protect their students, uniformed campus security is a step many shy away from. That makes sense! One of the most valuable and important things schools cultivate with every action they take is the school culture. Our school partners are rightfully proud of the inclusive, exciting, and purposeful environments that their students learn and grow in every day. A good security team will be a benefit to that environment. HOWEVER, if you bring on school security in the wrong way, guards may clash with your overarching vision. Here are some suggestions, from your friends at Joffe, on successfully hiring a school security provider. Get Buy-In: Whether they agree or disagree with the ultimate choice to have security on campus, some members of your school community will register their disapproval when you change a fundamental part of their routine. Minimize the negative reaction by inviting feedback, making sure as many people know the change is coming as possible, and making sure people know what will be changing for THEM. Otherwise, you may end up with a parade of frustrated parents who aren’t used to checking in with a security guard before dropping off their child’s forgotten lunch. Understand Your Budget: This is fairly straightforward, but still necessary to think through. Once you’ve determined how many guards you’ll need and for how long, know that you’ll need to be able to pay them for that time (and potentially a supervisor as well). This may run upwards of $50 per guard per hour! If you aren’t able to consistently set aside these types of funds, you may need to be more precise in the previous step, and make sure you’re only providing the necessary amount of coverage. When To Transition: Once you’ve gotten buy-in from your community and considered the details of your need and financial restraints, it’s time to get specific. 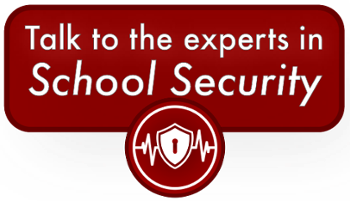 Many of our partner schools find that the best time to implement a new security team is on spring or winter break. That way, the guards have a chance to hear directly from you regarding expectations and things to know about your campus culture. If this sort of extended timeline doesn’t work for you, try to find a long weekend. Security can certainly be implemented more quickly than this, but prepare for some small bumps in the road as everyone tries to adjust to their new reality. Joffe is proud of our ability to match our partner schools with sharp, focused, and kind security guards. Learn more about our school security programs by clicking below!